We do not have vacancies at the moment, however we are interested in hearing from you if you strongly feel that we should work together. We have a passion for 3D imaging and 3D modelling technologies. Our work is exciting and stimulating because we contribute to optimising radiation dose and pushing the technological boundaries of imaging, 3D printing and surgery. Working with us means that you would actually get to know your referring clinicians, talk to them directly on a regular basis and enthuse them with the quality of the images, software and models that we can provide them with. 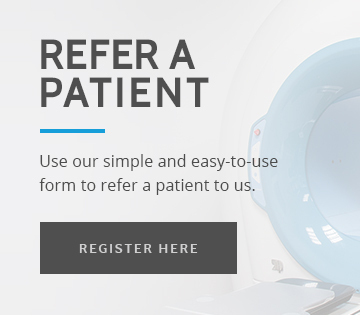 We offer the opportunity to expand your knowledge within a growing imaging company at the forefront of technology. Our patients are very nice and expect the best so we want to find these very special radiographers who are completely dedicated to excellent patient care. We have the latest ConeBeam CT technology (and not just one machine!) so we really want to meet radiographers who get excited about working with state-of-the-art equipment and will be proud and able to champion the technology with us. Cone beam CT is new in many areas; we have been presenting our work regularly to UKRC, the main radiology conference in the UK, since 2011. Last year we presented compelling data on the dose reduction that CBCT allows in new fields compared to conventional CBCT. Watch out for our contribution this year! CBCT is definitely the future, and it’s definitely not just dentistry! Please email your CV and cover letter telling us what your interests are, your salary expectations and the contact details of two references to [email protected]cavendishimaging.com. Candidates for our radiography roles must be HCPC-registered, be able to travel and have a very good understanding, writing and speaking of English. High standards and excellence in patient care are essential and usual work processes will need to be followed rigorously. We only contact the candidates who have been short-listed for interviews; we will not contact your references unless you are offered the position. The roles within Cavendish Imaging do not usually require weekend work. We do not do night shifts either.